When it comes to hitting the road, you’ll run into many emotions, ranging from excitement over all the sights you’ll see to worry and scrambling to get all of your ducks in a row before you take off. There will undoubtedly be all sorts of things to take care of. You may need someone to watch your house or care for your pets while you’re gone. Transportation may be an issue. Another important but often neglected aspect of vacationing is your quality hair care routine! 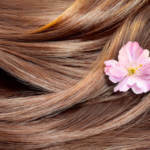 If you’re going to be gone for an extensive amount of time this summer and have invested ample time in your hair health, you’ll want to keep reading this guide. We have a few tips to help your hair stay at its absolute best! This saying goes not only for staying cool during those hot summer travels, but for drying your hair while you’re away from home. Rather than toting your hair dryer along, after a wash you can simply let your hair dry the old-fashioned way—with air! While you probably know this from experience, this suggestion will be much trickier for those with thick hair. In this case, you may want to plan a relaxing day at the hotel while letting your locks shake off the moisture. However, taking this step will be much easier on your hair throughout your trip. You can even compromise by going 50/50 between blow drying and air drying! Just be sure to remember your leave in conditioner! 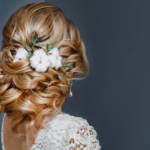 If you’re planning on staying away for a considerable amount of time, it will do you a world of good to take a trip to your favorite salon and get a professional wash and treatment, if you’re so inclined, done. Compared to any home care you might attempt, the work of a professional will ultimately have much lengthier endurance, unless you’re a professional yourself! Taking care of your hair before you head off will prove to be much more convenient in the long run and keep you looking great for an unbelievably long amount of time, as long as you don’t go anywhere near the ocean, of course! We know you’ve heard this a million times, but you absolutely have to be careful with wet hair, whether it’s from a dip in the resort pool or after a fresh wash. Wet hair is the daintiest type of hair and requires a different kind of care than it would while dry. Treat your hair gently with the help of a wide comb and absolutely no elastics or brushing. Finally, after you’ve invested all that time in washing your hair, you want the hydration and nutrients from your products to stick around. Take a hat and some protective spray along for some ample sun protection for hair if you’re planning on basking in the sun for a day! We hope these tips will help you keep up with your quality hair care, even while on vacation! Contact us to learn more about how to keep your hair healthy and vibrant.